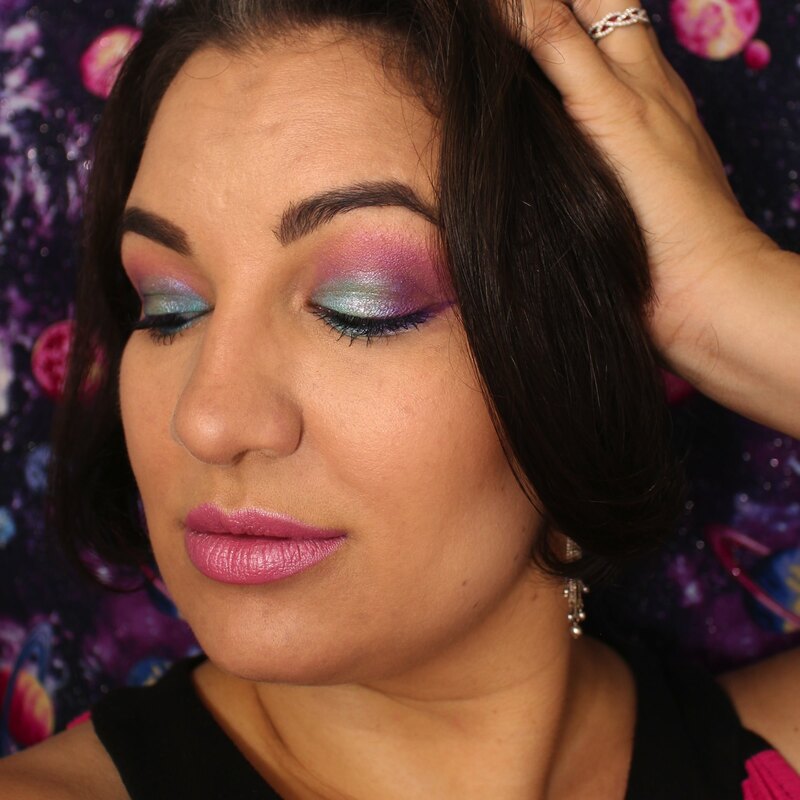 #TBTBeauty + First Day of Summer = A Fun Colourful Eye Look! Greetings, dear readers! I hope you have had a wonderful week and have something fun planned for the first official summer weekend, at least here up in the northern hemisphere. Between it now being summer AND Pride Month, I just knew I had to dig through my makeup stash for something fun to celebrate! 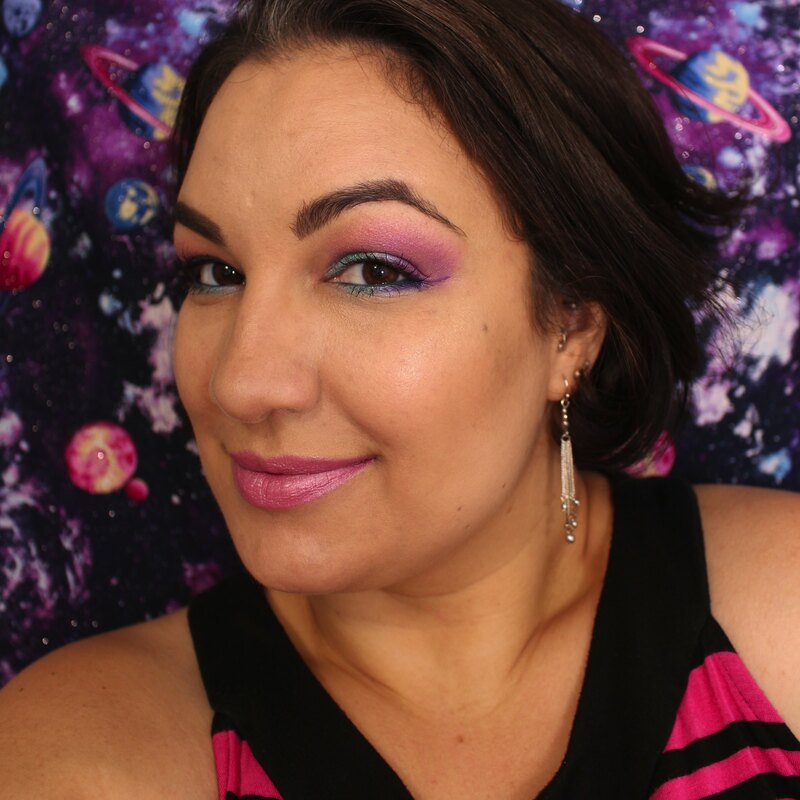 I opted to pull out my Violet Voss Cosmetics The Rainbow Palette for today's colourful eye look. I've been sticking to safer neutrals lately since my work day starts so early, but there definitely are the days where I just want to play with colour. The Rainbow Palette in particular is one that I gravitate towards because the colours are just so darn pretty and they blend really beautifully for me without having to spend a crazy amount of time doing my makeup. The Rainbow Palette consists of 10 shades with each pan containing a generous 3 grams per colour. Add to that the affordable price of $30 and I snapped up this baby quickly! I am wearing 5 of the shades from this palette for today's eye look. I have also paired it with Julep's When Pencil Met Gel eyeliner in Electric Teal Shimmer to complete the look. 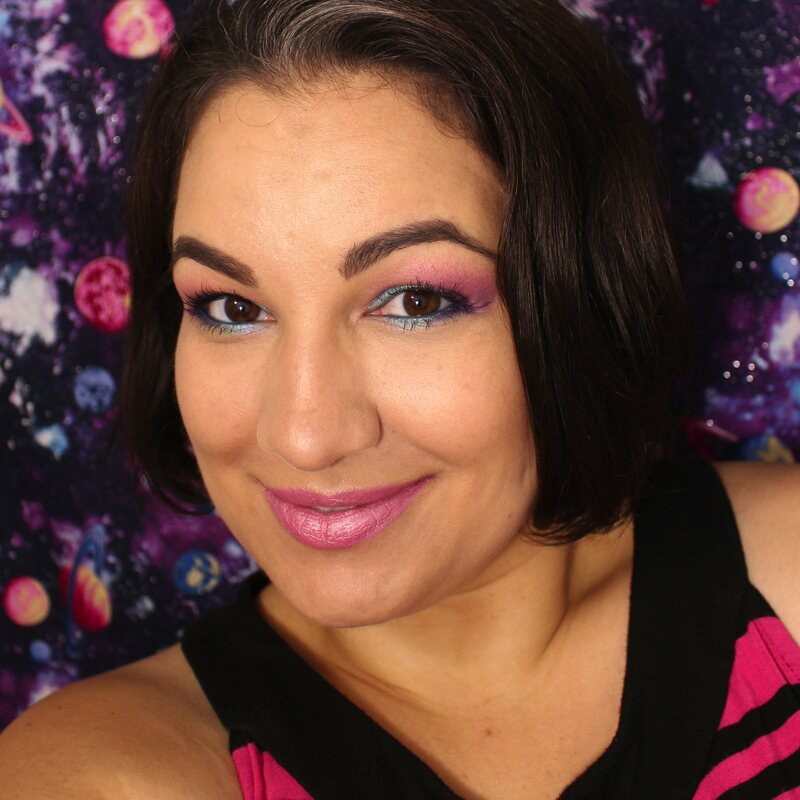 I wanted a nice pink hue on my lips to complement my colourful eye look and used Jesse's Girl Cosmetics lipstick in the shade Yesenia. After keeping my makeup more neutral a lot lately, it feels so good to wear something more vibrant again! It's also so great to revisit this palette again, and I'll be grabbing for it a lot more this summer! Do you have The Rainbow Palette or any other palettes from Violet Voss Cosmetics? Do you enjoy colourful eyeshadow over the summer? I'd love to hear from you! Love this look! Such a pretty combo of colors! love love the purple flick you did!!! I need to get something Violet Voss but I tend to stick with neutrals over and over. This is such a beautiful summer look on you. I instantly liked the lipstick and wasn't surprised to learn it was Yesenia. 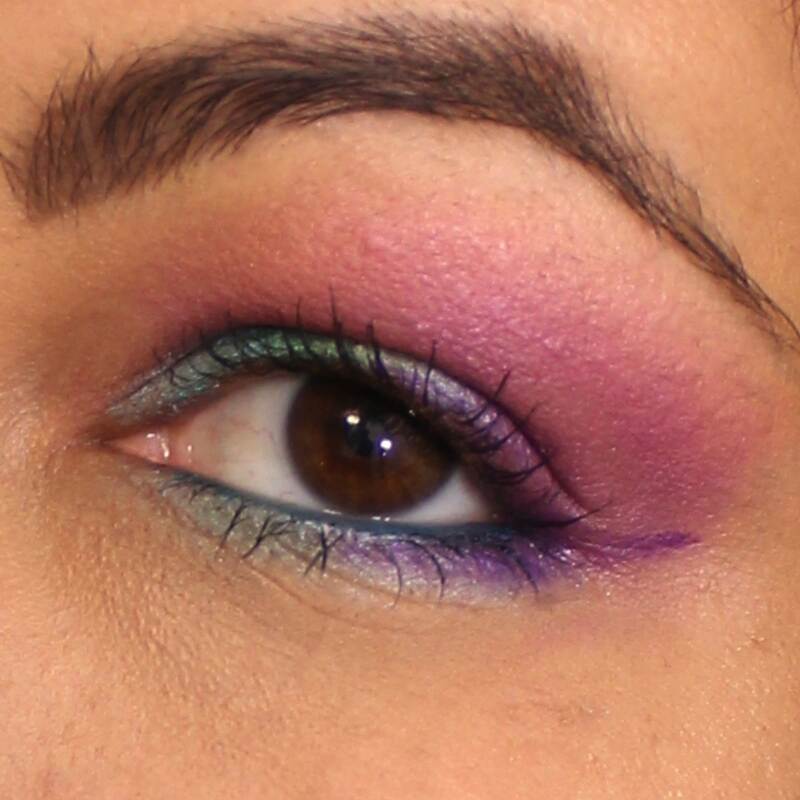 Love these pops of color-- still very wearable tho! Nice colorful eyes! I used to love wearing colors, now I'm a boring neutral or nothing at all kind of a gal. Such a fun use of color on the eyes! Looks fab on you! You look great in bolder colors! I love the way you did the eyeliner, that gradation is very on trend. Yaaaaas, Queen!!!! I love the look you did. I was just looking at my palette the other day thinking I need to work it into the rotation. Those colors are gorgeous on you! I definitely need to try colors outside my comfort zone! Violet Voss has been on my wishlist for a suuuuper long time. I need to snag some stuff because that eye look is everything!